The BBA Aviation program aims to produce skilled professionals for the aviation sector and allied fields of travel and tourism. Delivered under the Bangalore University the course possesses a unique advantage of a built-in IATA/UFTAA foundation course within the main curriculum, therefore increasing the application relevance of the program with respect to addressing the business requirements of the aviation sector and enabling students with an entrepreneurial bent to acquire necessary skills for starting their own venture. India is the fastest-growing aviation market according to the International Air Transport Association (IATA) therefore; BBA Aviation Management professionals won’t run out of job opportunities! This undergraduate program covers a range of subjects from both Marketing and Aviation Management. By the end of the course, a student is well equipped knowledge and hands on experience to build a career in Aviation Management. Why BBA in Aviation Management at Acharya? BBA program in Aviation Management trains students to take on managerial as well as administrative roles in an Airport or in the Aviation sector. It is globally acknowledged fact that the aviation & travel tourism industry is growing, both in format and handling of specialised functions at a rapid pace. The growth in aviation signals parallel growth in travel and tourism sector. In this course, students will acquire how an aviation, travel & tourism business functions, basics of business communication and economics, Aviation Operations, Safety and Security and role of human resource in the aviation industry. Industry Attachments with Project work/ Presentations/ Industrial Visits/ Guest Lectures/ Seminars/ Conferences. Unique features of the programme - Personality Development, Foreign Language, First Aid Training, Computer Application. 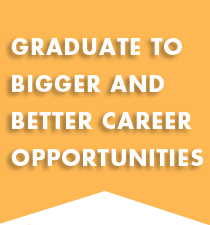 Students can shape their careers with specialising, BBA,/MBA programmes in the most promising industries of this decade. Eligibility : Candidates who have completed Two years Pre – University course of Karnataka State or its equivalent are eligible for admission into this course. Talking about scope and career prospects, it is realistic to say that in the foreseeable future, Aviation sector is all set to grow even more. Along with the growth, the sector will increasingly need management professionals to handle Airport management tasks.